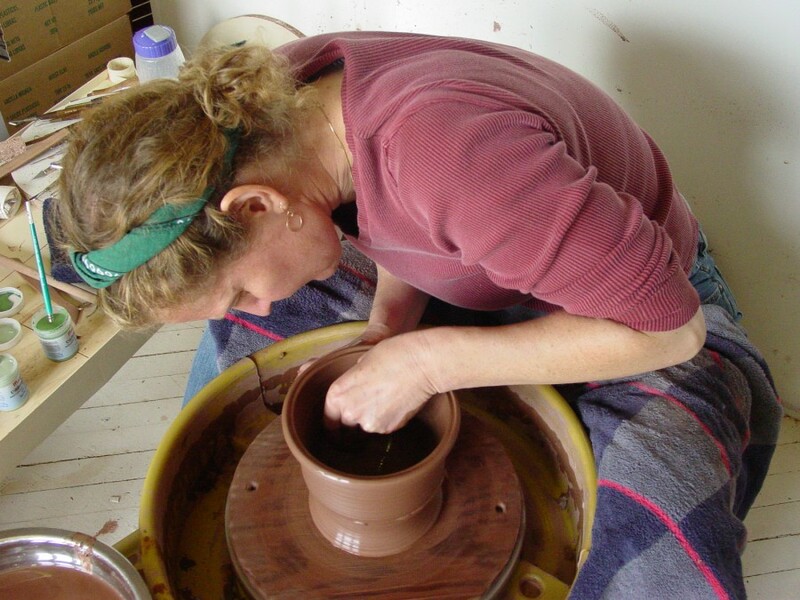 I am a self taught potter that has been throwing pots since I was introduced to the wheel when I was 15 years old. I was a heavy production potter for a of couple decades before I started painting designs on pots and found a new way of expression that has brought my pasion with clay to a deeper place. I strive to combine form and decoration to create functional ceramics. Classical forms with designs of cultural/historical influence come together with a contemporary touch. Pieces are wheel thrown, hand painted with layers of slip and underglaze and are finished with a clear gloss glaze.